This is a tough one. The first time I heard this affirmation, I was annoyed. If a person is being a jerk, then how is it my fault when I get upset? Clearly, it is that person’s fault for being a jerk! After really thinking about it, however, I realized how powerful this affirmation was. There are good people in the world and there are not-so-good people out there. You are going to interact with both at some point, so your ability to control your reactions to both is crucial. First, recognize that someone’s rude behavior has nothing to do with you and everything to do with them. Next, accept that this person is a jerk and that there is nothing you can do about it. They have to live in their rude world and you only have to visit occasionally. Finally, be mindful of how you treat others and make sure you’re not the jerk that people are thinking about when they are reading this affirmation. A little self awareness can go a long way to making you a kinder person and making your interactions with unpleasant people tolerable. 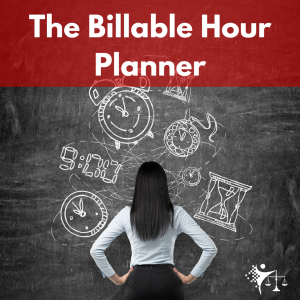 How would you feel if you could plan your billable hours now and know exactly how you can plan everything else? Copyright © 2017 Cheyne Scott, The Spiritual Litigator. All Rights Reserved.